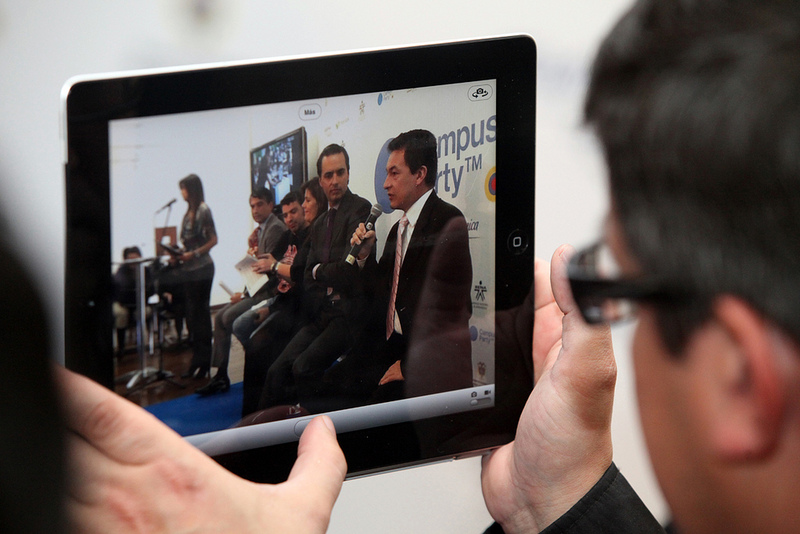 With only a few weeks left until the fifth edition of Campus Party Colombia, its organizers announced that the event may not take place in Bogotá in 2013. Controversy with the city authorities ensued while other Colombian cities are showing interest in hosting the event. According to its website, “Campus Party is an annual week long, 24-hours-a-day technology festival where thousands of “campuseros” (hackers, developers, gamers and geeks) equipped with laptops camp on-site and immerse themselves in a truly unique environment.” First launched in Spain in 1996, it has now expanded to around the world and welcomed speakers such as Steve Wozniak. As expected, it didn’t take long for the city council to take to the press; in a press release from the mayor’s office, the city council justified its decision not to support Campus Party this year. In the first place, it explained, the event’s organizers refused to let ETB participate in the event. The second largest telecommunications company in Colombia, it is controlled by Bogotá’s city council, which explains why this became a bone of contention. Yet, the organizers don’t have much flexibility on this point, at least for the upcoming edition. As we reported, the event is already sponsored by the Spanish telecommunications giant Telefónica, which took opportunity of the previous edition of Campus Party in Colombia to launch its startup accelerator, Wayra. Ragageles answered this criticism in an open letter, boasting Campus Party’s achievements over the last five years. While the event has welcomed over 1,000 speakers and works with big companies, it is also supporting digital inclusion and openness, he insisted. Since its first edition in Colombia, it has provided training to 1,400 SMBs and ‘digital baptisms’ to 28,000 people, while organizing panels on Linux and open software. As for the budget, Ragageles maintains that the city hadn’t been ‘spending’ money on the event, but rather ‘co-investing’ with a series of institutions, companies and Campus Party itself to make an impact and generate jobs and activity for the city. Although both parties acknowledge that the city’s grant was only a small part of the event’s budget with around 10% of the total costs, a Campus Party is “unstainable” without the support of the council of city where it takes place, Ragageles says. Despite the controversy, Campus Party Colombia’s director Juan Carlos Serrano insisted that no final decision has been made at this stage, as the event is still trying to get the city’s support for its upcoming editions. Ragageles also updated his post to explain that it only reflected his personal feeling on how things would end, rather than an actual decision, while Serrano didn’t exclude the possibility for ETB to participate in future editions of Campus Party Colombia. However, other cities have already expressed their interest in hosting the event. Although Pereira is one of them, Medellín seems the most likely candidate. After all, it is the second largest city in Colombia, and its Secretary of Education is promoting an ambitious initiative known as Medellín Digital. As a matter of fact, conversations have been ongoing since 2011 with different local institutions, the local newspaper El Colombiano reports. According to the article, these are now keen to take opportunity of the controversy to convince Campus Party to move to Medellín. While it remains to be seen whether the city council itself will now take the lead and get these plans off the ground, the project already has local supporters. Created a few days ago, the Facebook group “Campus Party 2013 in Medellín” already has over 2,500 members.